Bill English has shown how out of touch he is with the New Zealand population once again, spouting oddly ignorant views on medical cannabis. 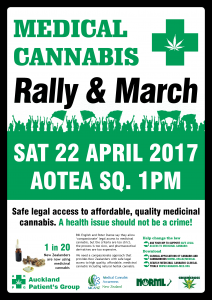 In response, medicinal cannabis users and allies today are announcing they will march down Queen St later this month, supporting safe legal and affordable access to medicinal cannabis. Others around the country are invited to organise simultaneous marches. English was responding to a report on The Nation last weekend in which oncologists said half their patients are using cannabis to ease their suffering, and following a raid by Police of Auckland tetraplegic Ben Clifford, who uses cannabis medicinally, and who was then abandoned by his state-provided care agency. English claims there is already a legal route for patients to get cannabis products. English’s position, utterly at odds with the public, is particularly surprising in an election year. A (non-scientific) poll on the Newshub website yesterday found 94 percent of respondents wanted to “legalise cannabis for medicinal purposes”. Both the Green Party and Labour have pledged to ease medical cannabis access if elected to government. 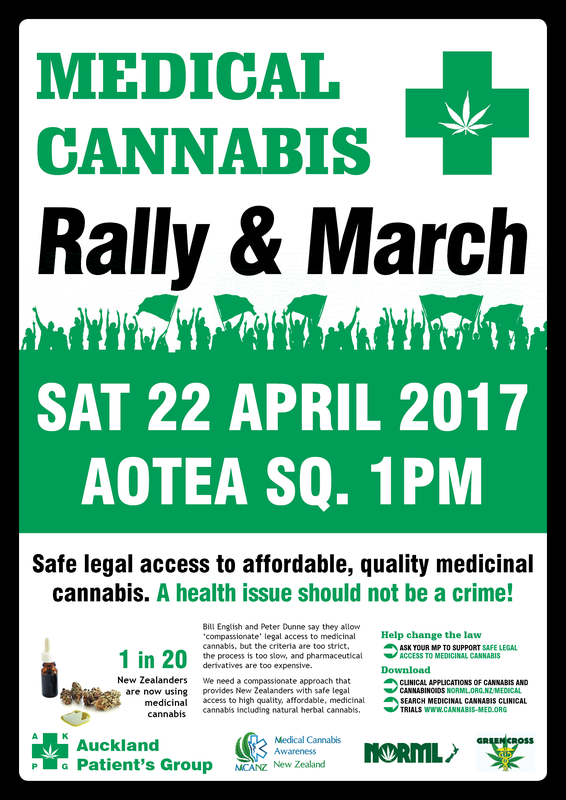 The Medical Cannabis March is Saturday 22nd April 2017, starting in Aotea Square in Auckland at 1pm and going down Queen Street. This Wednesday 5th April, Rose Renton and others will present Rose’s petition for medicinal cannabis to the Parliamentary Health Select Committee. Other upcoming events include nationwide J Day protests on Saturday 6th May.